1800 Draped Bust dollars are scarcer than their counterparts from 1798 and 1799 but still see active trading. The 1800 Draped Bust dollar was designed by Robert Scot and remains a popular collectible well more than two centuries since it was produced. 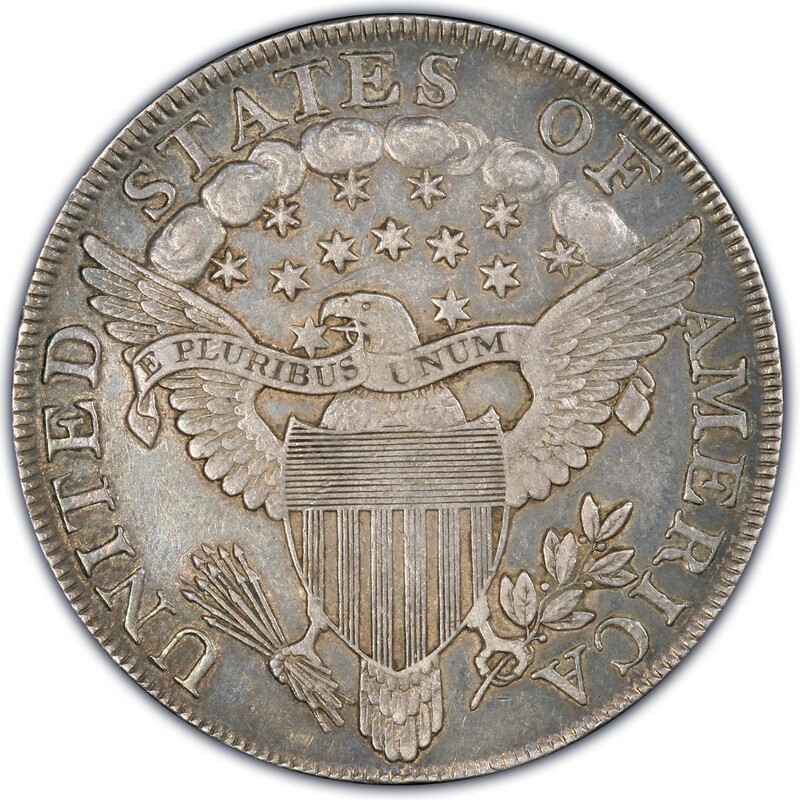 Most individuals who seek an example or two of the Draped Bust dollar are mainly looking to add these coins to their collections as type pieces. There are also collectors who enjoy assembling date sets, and they will look for one example of each date in the Draped Bust dollar series. There is a third major type of Draped Bust collector – those who desire one of every major die variety. While the United States Mint has not released any mintage figures for each individual variety, there is an official record of 220,920 pieces struck across all 1800 Draped Bust dollar varieties. At the present time, problem-free examples of any 1800 dollar listed above sell for about $1,050 to $1,250 in a grade of Good-4. Uncirculated pieces sell for around $25,000 and up. Collectors should take the mintage figure above only as a guide in understanding how many were issued. 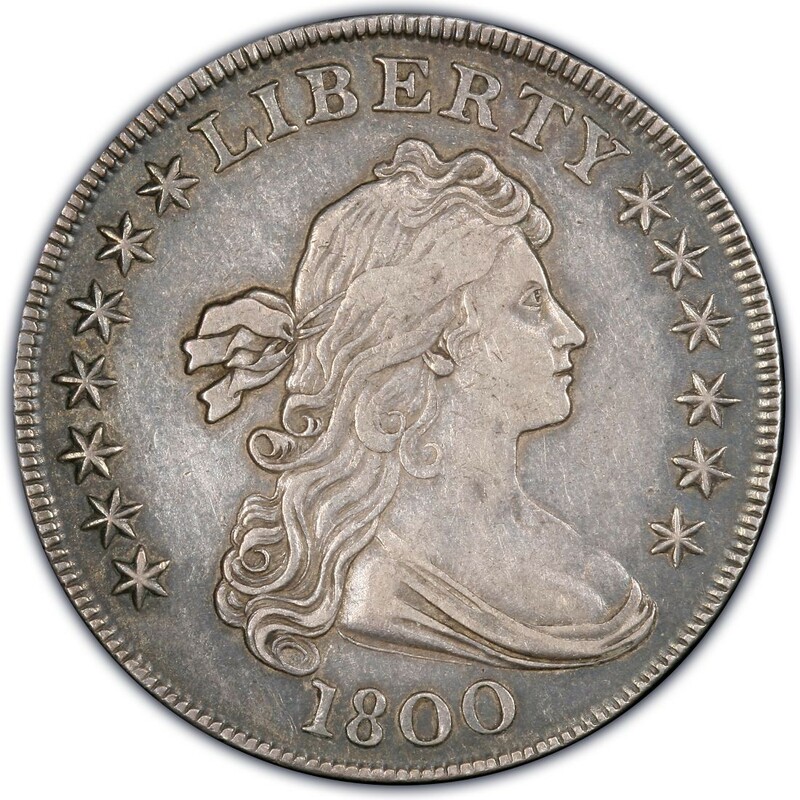 It is in no way an estimate on how many 1800 Draped Bust dollars survive today, which is certainly lower than the original mintage figure. By some estimates, only about 4,500 still survive among all grades combined.